Xbox has announced that Forza Horizon 4 has gone gold. 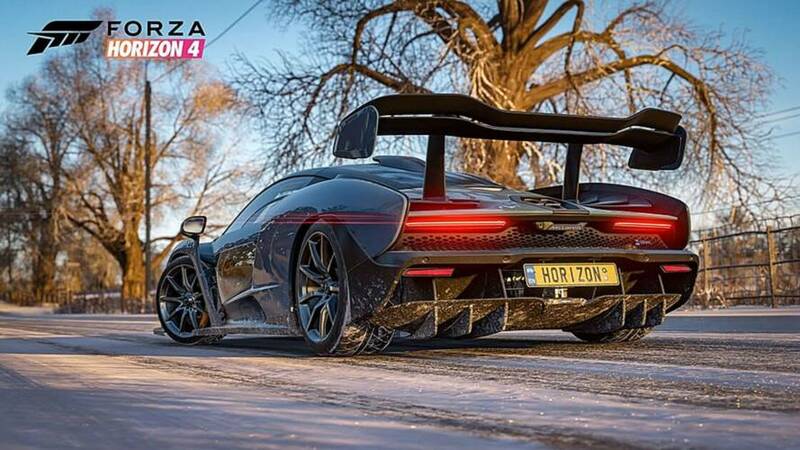 The announcement also contained information about the game's demo, as well as the reveal that Horizon 4's Day One Car Pack contains vehicles from both old and recent James Bond films. The Forza Horizon 4 demo is currently available on both Xbox One and Windows 10 PC. You'll have access to all four of the seasons in the demo, allowing you to drive through the open-world Britain hub and complete challenges in a diverse assortment of environments. Of the game's 450-plus cars, you have access to about 10. If you have Mixer, you can start earning Influence in the Forza Horizon 4 demo that you can use in the main game. Influence is Horizon 4's version of measuring progression, and can be accrued in the main game by exploring, racing, performing stunts, and taking photos. If you watch someone playing the Horizon 4 demo through a Mixer stream, you'll gain Influence. You can also earn Influence by streaming Horizon 4, and you'll get larger rewards for attracting more viewers. When Horizon 4 launches, a Day One Car Pack will release alongside it. Called the Best of Bond Car Pack, the DLC includes 10 of Bond's famous vehicles from his past films, two Bond-inspired outfits for your driver, and six exclusive quick chat phrases you'll be able to use in multiplayer. The pack can be bought separately, or comes included in Forza Horizon 4's Ultimate Edition. According to Microsoft, several of the cars can use the gadgets seen in the films while in Forzavista mode. "For example, the 1964 Aston Martin DB5 will feature numerous gadgets such as revolving number plate and extendable bumper rams," Xbox wrote. "In addition, the Lotus Esprit S1 will feature a special body kit option inspired by the 'Wet Nellie' submarine vehicle from The Spy Who Loved Me." Forza Horizon 4 releases on October 2 for Xbox One and PC. If you pre-order the Ultimate Edition, you'll get to play Forza Horizon 4 four days earlier on September 28. JonnyRich, XBOX RULEZ and Beardyman like this.